We’ve got the professional vehicles and moving equipment, secure onsite storage facility, top quality packaging, expert manpower and invaluable advice to ensure your relocation is a carefully planned, smooth and successful one. 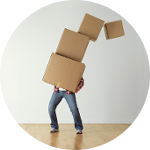 When choosing your removals company, it’s useful to check out their claims ratio. At Taranaki Relocations, we’re very proud of our track record and we’re happy to discuss this with you. Take this golden opportunity and discover what we can do for your big move today! Considering shifting independently? We’re the only local company that offers a DIY option! We’ve got the professional gear specifically designed to safely transport your largest and heaviest of items. 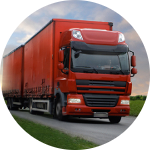 We’ll provide the ideal truck and invaluable advice to make your DIY move efficient and injury free. Is contents insurance really necessary for you? Can we move all your items? Our global connections and bulk purchasing power means we can offer you the highest quality, durable, professional packaging and wrapping materials – all for an affordable price! If you book and pay for your move on acceptance of our quote, we’re happy to provide you some cartons, free of charge, for the big day. 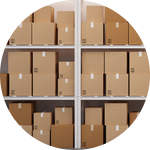 We can offer you both short and long-term storage solutions. Consider our newly renovated, highly secure and fully monitored onsite facility, based in New Plymouth.